Jason Hatchel (“Jay”), Director of Operations at Med TECH LLC, began honing in on his proficiency in machining in his early teens while running lathes and manual mills in his parent’s home-based shop. He started working with his dad, CB, on manual equipment and then moved on to metal fabrication in the automotive industry. Machining has always been his forte and when he found his way into the medical device industry in his early 20’s he never looked back. Jason’s passion for making things and taking on projects that others find difficult or impossible is what drives him to push harder and surpass the expectations of his customers and affiliates. Jason and his wife, Teresa (CEO/Director of Quality) had the brilliant idea to start a medical device manufacturing company in 2003. He knew that with his experience and her extensive education, organizational skills, and the fact she was great at handling finances, this was a secure venture to take on together. As the Director of Operations, Jason works directly with the machinists helping where issues arise and planning manufacturing methods to prevent problems before they happen. Day to day, he is the go-to guy for any tedious processes and demanding tasks that need to be accomplished. 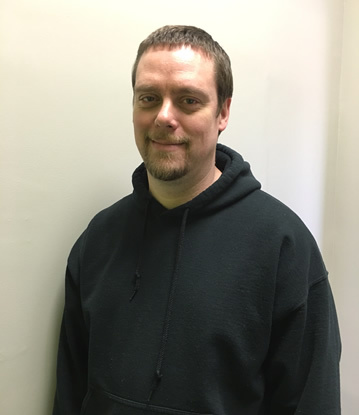 He is qualified to do any duty at Med TECH LLC and some of the most common ones he takes on is CMM Operator, certified welder, complex instrument assembler, and metal- finisher when needed for intricate products with complex geometry. Serving as the key manufacturing personnel in executive level decision making for the business, he is the customer contact for engineering questions and manufacturing input on design. Jason also assists his brother, Danny (Operations Manager), with information that he may need to quote jobs and ensures that the correct tooling is in stock for the pending jobs in queue. He does real time training on the floor to ensure that all of the machinists are up-to-speed on the latest techniques and technology that gives Med TECH LLC that competitive edge. The success that Med TECH LLC has gained and the talented staff that has helped build this business is impressive. The sacrifices, tough decisions, long hours, and rocky road to get where Med TECH LLC is today has only made the foundation of this organization stronger. Med TECH is not just a place of work for Jason, the Hatchels, and staff, but a family and they are all excited to see how it will prosper in the future.